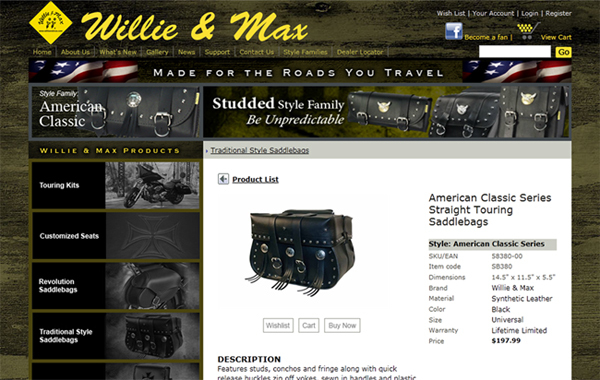 For over 28 years Willie and Max have been designing and producing the highest quality, most affordable motorcycle luggage available to the rider. Their entire line is made with our high-tech synthetic material which resembles the look, feel and strength of leather. This high-tech material is flame retardant and also contains ultra violet light and anti-microbial inhibitors. It will not fade, peel, crack or stain and repels water. In addition, the material will not mold or mildew. 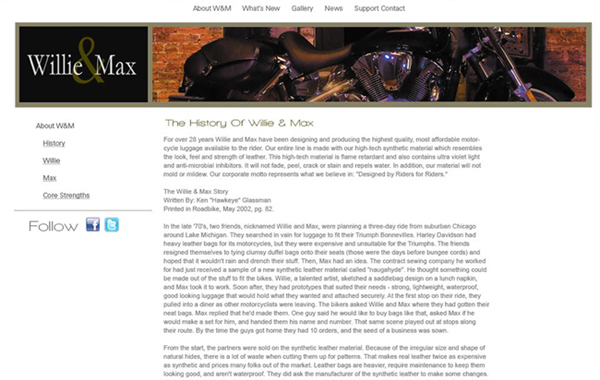 Willie & Max has a strong brand with a loyal following. Evo strives to strengthen the brand without diluting the message of the overall brand. 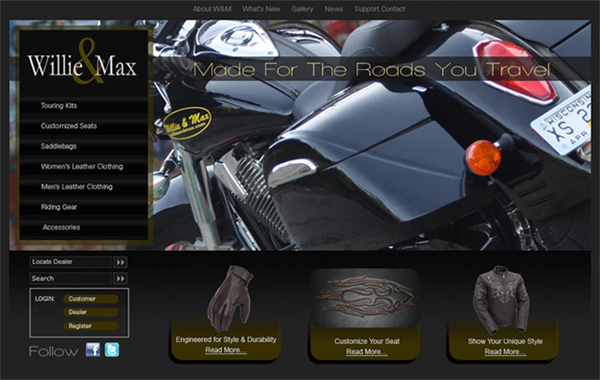 We do this by creating an rotating flash image in the front to hammer home the Willie & Max message. 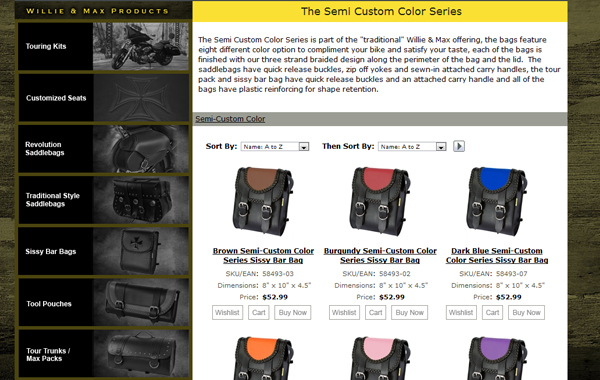 The product grid at the bottom gives users quick access to the different product categories in the ecommerce store. 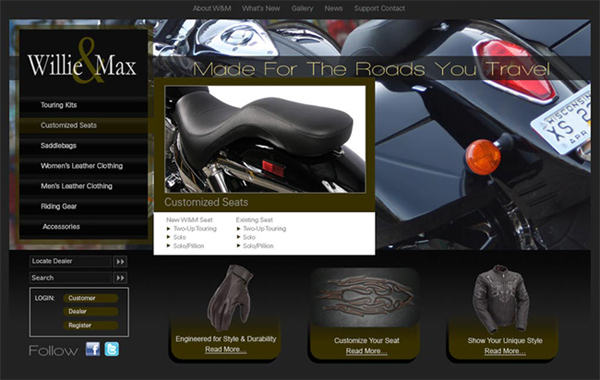 The ecommerce design layout shows the selling point of each product. The layout also provides quick access to different categories by using the menu on the left. 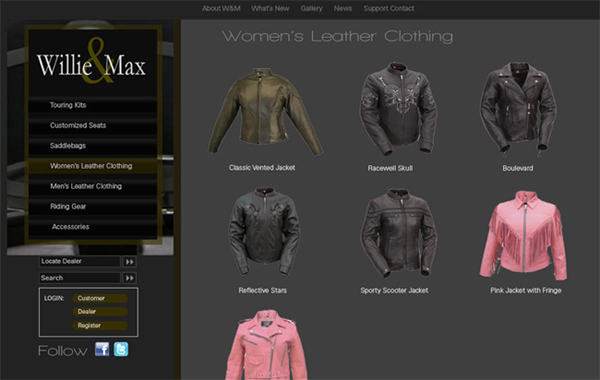 Demonstrating the lightbox functionality to show details of the product material. 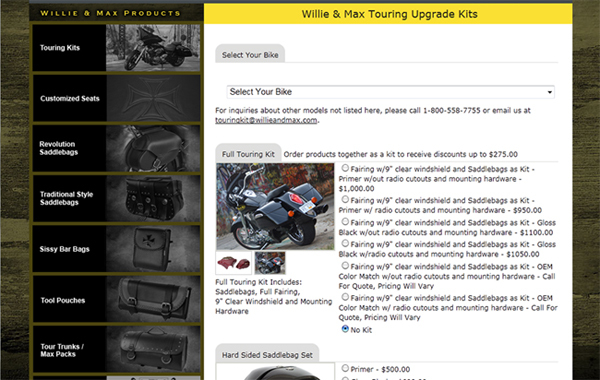 Evo designed and custom developed a touring kit selector to allow users ot customize their touring kit. 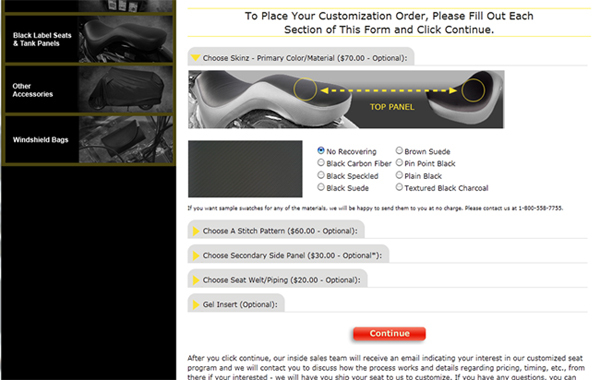 Evo designed and custom developed an application to allow users to purchase and customize the seat for their motorcycle. 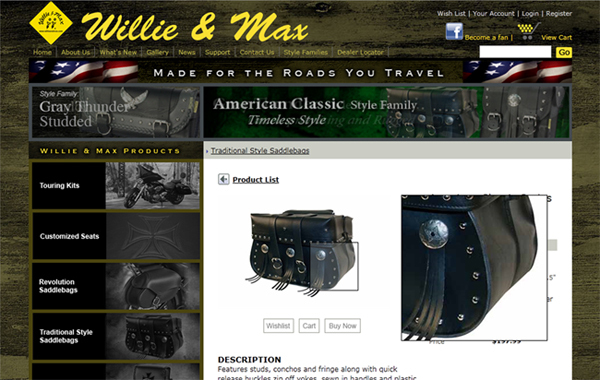 Evo provided an alternative website design which reflects the high-end brand of Willie & Max. This design was pre-empted by the one being used today. 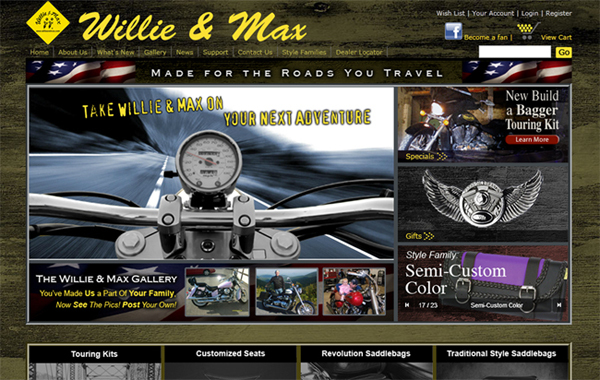 Evo provided an alternative website design which reflects the high-end brand of Willie & Max. This design was preempted by the one being used today.